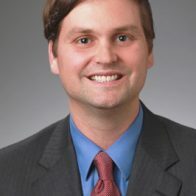 Throughout Bradley Staats long career he’s jumped from industry to industry—from investment banking at Goldman Sachs, to strategic planning at Dell computer, with a detour in venture capitalism in Tampa, to becoming a business professor at the University of North Carolina’s Kenan-Flagler Business School. Along the way, he kept earning new degrees in different fields, papering his wall with a BS in Electrical Engineering from UT Austin, an MBA, and a DBA in Technology and Operations Management from Harvard Business School. His wildly different career choices—from engineering to investing to academics—and multiple degrees probably don’t shock you because career changes have become the norm in our society. When the Bureau of Labor tracked people from aged 18-48 between 1978 to 2012, it found people had changed jobs on average more than ten times. Very few had the same job they started with. This is because we now live in what Staats calls a “learning economy.” Due to changes in the demand for nonroutine cognitive labor, the rise of specialization, increasing globalization, and the need for scalability, we all must become dynamic and constant learners to survive and thrive. With the rise of technology, work has gone out of our hands and into our minds. Literally. Over the past century, the U.S. (and the world) has witnessed a shift from agricultural labor to manufacturing to cognitive tasks. While the number of manual labor (manufacturing) and routine cognitive jobs (sales) have remained flat, nonroutine cognitive jobs (software design, content marketing) have exploded. Specialization has also exploded. Specialization has been around for a long time, but never to the degree we see it now. For example, in the past, a doctor could know almost everything about medicine. Now there are 37 specialties and 132 subspecialties in medicine, which require years of training to master. When the world was less connected, our competition didn’t feel as close. Companies might compete within a state or across the nation, but only the biggest companies had to worry about global competition. With the Internet, people can sell their goods and services to anyone and anywhere. Your competition for your next software assignment might be someone across the nation or across the world. Work used to be limited to what one person could do. One salesperson could only sell to so many people. One doctor could treat only so many patients. Now one person with a website can reach millions of people. With all these factors affecting the economy, how can one person stay relevant? 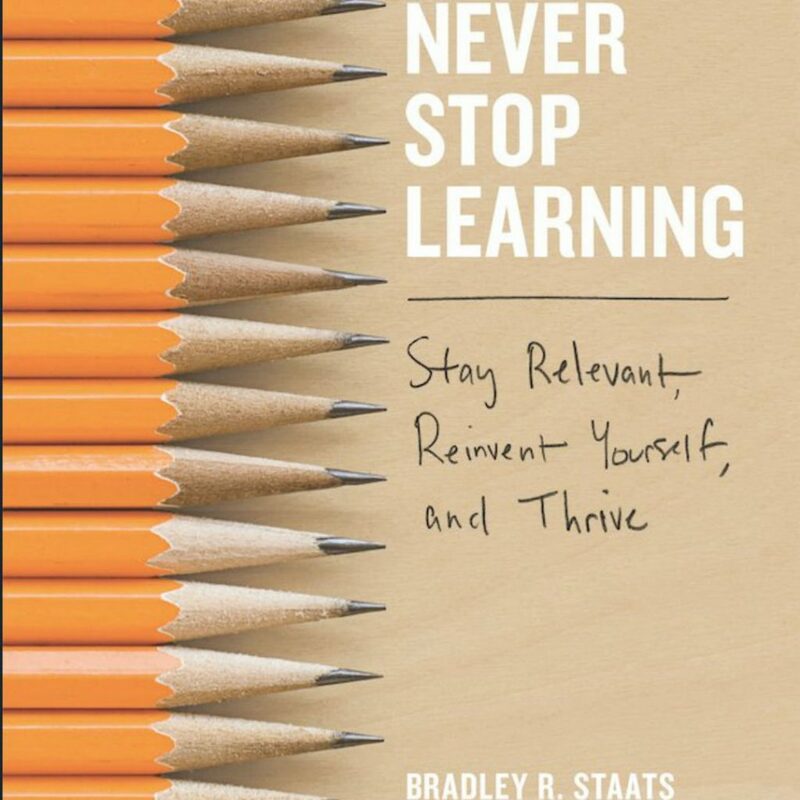 According to Staats, in order to not only remain relevant but also thrive in this new learning economy, we must learn how to become better learners. In his book, Never Stop Learning, he outlines the eight concepts you need to embrace so you won’t fall behind. Value failure: Be willing to fail in order to learn. People don’t learn by playing it safe. Focus on process rather than outcome: Don’t focus on the end because with nonroutine challenges you won’t know how to get there. But if you focus on the process, you will eventually find a solution. Ask questions rather than rush to answers: It’s okay not to know the answer to a new challenge as long as you can ask the right questions to find the answers. Reflect and relax: Instead of always acting, take time to rest, recharge, and think. This will give you new insights for nonroutine tasks. Be yourself: Progress comes when you stop conforming and are willing to stand out. People don’t find new answers by doing what everyone else has done. Play to strengths: Instead of trying to make your weakness a strength, concentrate where you can get the most benefit. Playing to your strengths will help you overcome more challenges. Specialize and practice variety: Go deep in one area and stay broad in others. This approach will help you find your own niche but also be able to adapt it to other fields. Learn from others: People often don’t solve problems alone. You will learn more if you learn from the diverse expertise around you.